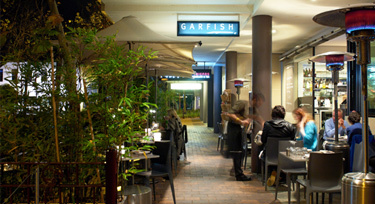 It’s less than a month until 2014 and the team at Garfish are getting excited about catering for your NYE celebrations. Whether you like to be at the centre of the action or prefer a more laid back approach to welcoming in the New Year, each Garfish restaurant has something different to offer. All you need to do is pick the style of celebration that suits you and let us take care of the rest! Each of our three restaurants is now taking bookings, so read below for more information on the celebrations we’ve organised and then get in touch. We’d love to help you welcome in the New Year. 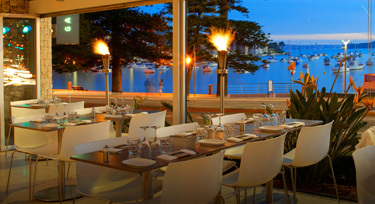 Manly has something special in store this year, and we’re not just talking about our award-winning food! We’re perfect for larger groups and our 4 course set menu at $150 per head promises you’ll start 2014 in a celebratory mood. We’re also very excited to announce we’ll be hosting special guest, Rachel Collis, from 8pm, who is a cabaret artist and one-woman performer. A classically trained pianist and vocalist, Rachel’s charisma, humour and ability to entertain is first-class. Diners can expect to enjoy a selection of well-known covers as well as her own songs on the night. Bookings are essential and we are taking reservations from 5.30pm onwards. 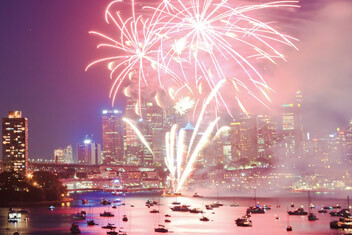 Don’t forget we’re also ideally situated for you to enjoy the Manly fireworks at 9pm. Please note: there is no children’s menu on NYE and it is a no BYO event. To see what Rachel has in store for us, take a look at: rachelcollis.com. Call Manly on 02 9977 0707 to book now. Kirribilli will also be offering a 4 course set menu for smaller groups at $150 per head, hosting two sittings at 6pm and 9.30pm. With the Harbour only a short stroll down the road, we offer the best of both worlds. Join us for dinner and enjoy our relaxed, al fresco atmosphere, then simply step out and continue your celebrations right near the fireworks action! Bookings are essential. Please note: There is no children’s menu and no BYO on New Year’s Eve. Call Kirribilli on 9922 4322 to book now. Crows Nest is the perfect venue for those dedicated to more low key NYE celebrations. 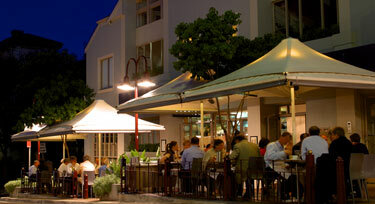 Set amongst the quiet buzz of Crows Nest, our relaxed, café style dining promise ambience without the NYE crush. We’ll also be showing the fireworks on our large format televisions. All you need to do is sit back and enjoy the food, company and NYE festivities from the comfort of your table. We’ll be serving our summer a la carte menu, featuring the best of the season. To keep it truly relaxed, there won’t be any set sitting times–simply choose the time that best suits you. Bookings are essential though, so be sure to call us on 9966 0445 to make your reservation.